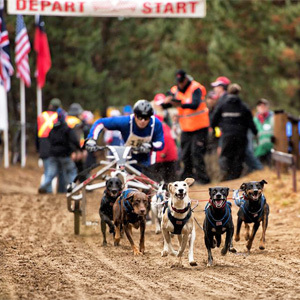 Mike Marsch is a World Champion Sprint Racer and breeder of top racing Alaskan & Euro-hound bloodlines through his Dog Daze Kennel. He is currently serving as the President of the United States Federation of Sleddog Sports (USFSS). He most recently won a 2015 World Championship at the IFSS (International Federation of Sled dog Sports) Dryland World Championships in Bristol, Quebec, taking home the Gold Medal in the Nordic Breed 6-dog Rig class. Mke’s kennel has developed a reputation for excellence in his past 25 years of breeding with virtually all of his dogs emerging to run high level competition.